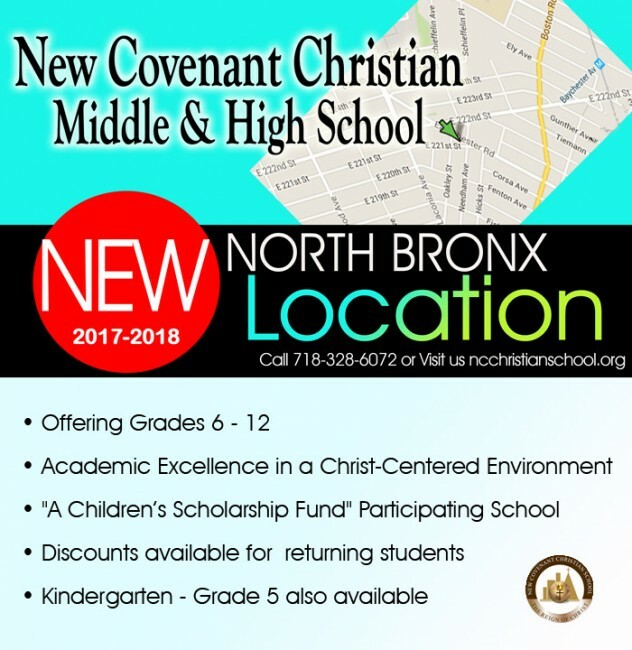 Welcome to New Covenant Christian School! 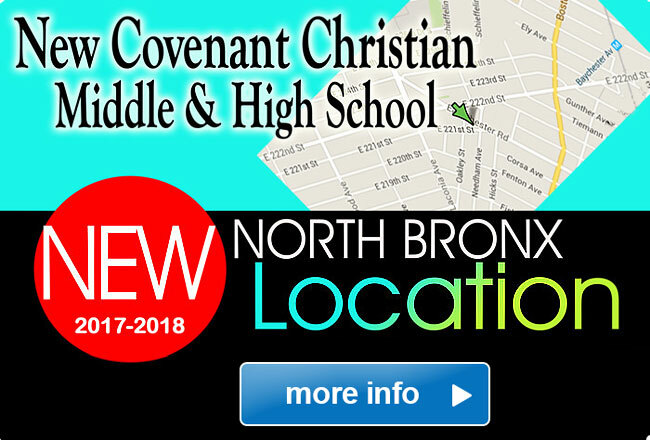 New Covenant Christian School is the educational ministry of New Covenant Christian Ministries. 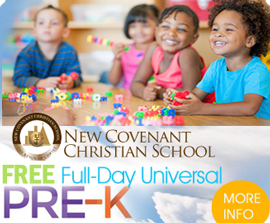 We are a Pre-K to 12 school where students of all backgrounds can learn, grow, and develop in a Christian environment with a commitment to excellence. We recognize that each student is gifted by God and the goal of true education must be to help each student develop their God-given potential for His glory and the benefit of humanity. Click on Read More below to learn more about us! Get an International education in the heart of New York City. 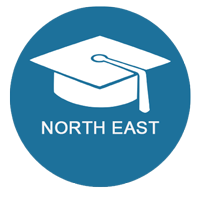 International students are encouraged to apply.